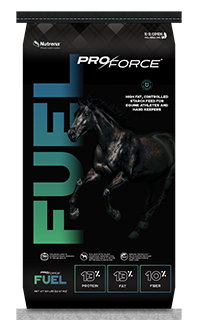 Scientifically formulated to meet the needs of performance and maintenance horses. This product should be fed with 1-1.75 lb per 100 lbs bodyweight of clean good quality hay or pasture equivalent. Forage should be a minimum of 50% of the diet. Start at the lower feeding level in the guidelines below and adjust to maintain desired body condition and level of performance. Divide the recommended feeding level into 2 or more equal feedings to avoid feeding more than 0.5% BW at one meal. 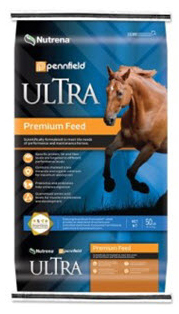 Do not feed more than 5 LB of this product at asingle feeding. Monitor body condition as exercise changes to avoid excess weight gain or loss.